Quality Lunch Box with Reusable Containers– You are going to pack lunch A LOT so a good lunchbox is worth the investment. A bento style box will create an extra barrier between your child’s lunch and the table. And save money in the long run on packing supplies. Another great trick- buy a pack of baby wash cloths to use as napkins. Table Covers/Placemats– Creating that extra barrier between lunch items and the table is important. Check out amazon and local grocery stores (where you find lunch boxes) for options. Water Bottle– Opt for one that the straw is completely covered when closed to prevent it from coming in contact with anything else. 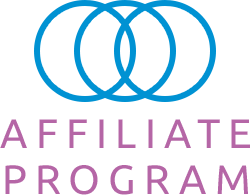 Wipes– Pack wipes in your child’s bag and lunch box. If possible, consider donating wipes to the classroom or for special events or field trips. Hand sanitizer does not remove food proteins so have wipes available when hand washing is not an option. Cupcake Carrier– if your school allows treats to be sent in for parties you may find that you are sending in safe treats rather frequently. An individual cupcake carrier makes it easy to transport your safe cupcakes into school. Check Amazon for options. 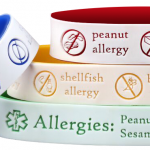 ID Bracelets– Having an ID that teachers, cafeteria staff and others can easily see and read can go a long way to informing others about your child’s food allergies. I.C.O.E. Bracelets are a great option -completely customizable, available in a variety of colors and sizes and fun logo imprint options to make it more than just an allergy ID bracelet. Medicine Carriers and ID Tags– Make carrying and recognizing emergency medicines easier by investing in a medical carrier. There are many options and your child’s age and preferences can help you determine the best fit. 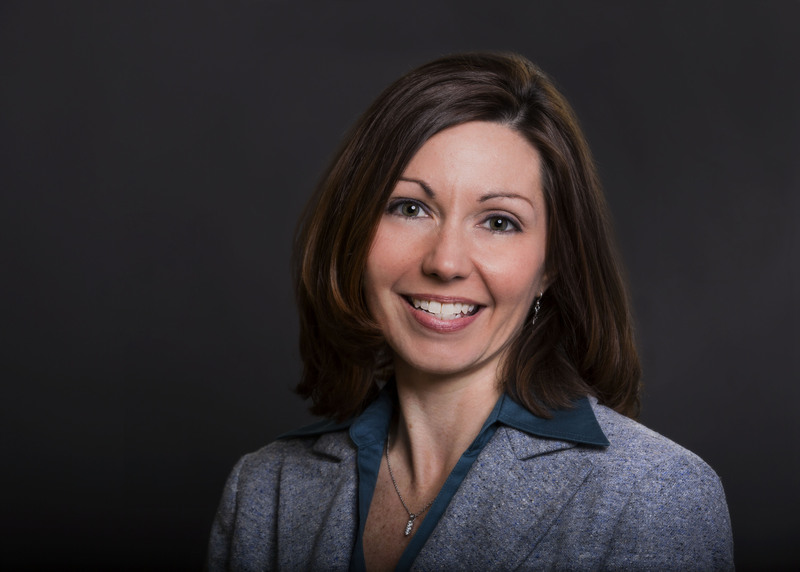 Tami Pyles is the Founder of Thrive On Consulting, Food Allergy Coaching and Training. 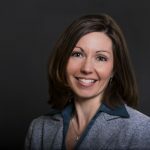 She is a certified AllerCoach, writes and speaks on food allergies, and is a food allergy mom dedicated to helping everyone Thrive On with food allergies. You can follow her on Facebook for great information on thriving with food allergies.